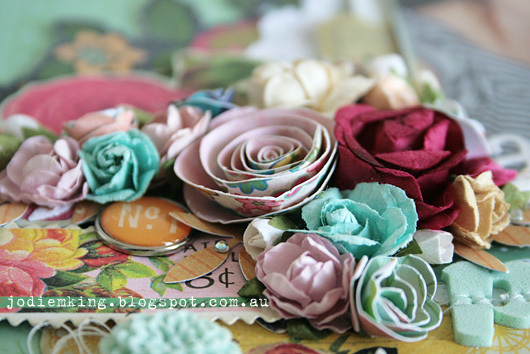 Paper Hearts & Peonies: Flowers, flowers and more flowers! Hi there blog readers. 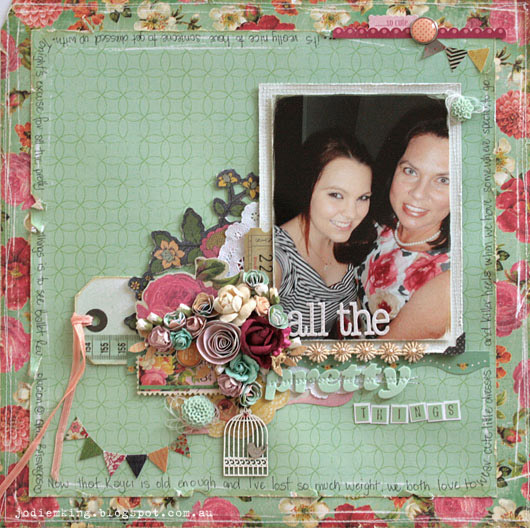 I'm here today with another layout that was published in Scrapbooking Memories recently, All the Pretty Things. This layout is a celebration of having a teenage daughter and some of the girly things you can do together, like wearing cute little dresses and killer heels! I pulled out all stops with the pretty pink florals. The Crate Paper floral border paper is just beautiful and so rich in colour. I haven't used much patterned paper in this layout, but pieced little pieces of die cuts, tags, and ephemera in lots of layers. It was really nice to use some vintage lace flowers that my Grandma handed down to me recently when she was having a crafty clean out. The title for this layout has three different mixy matchy alpha stickers and Thickers. 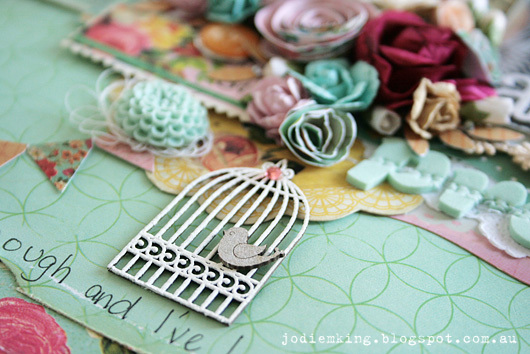 And I keep going back to these sweet and delicate birdies and birdcages made by Scrapmatts. This cage is embossed with white embossing powder, and the little birdy has been left as bare chipboard. This miniature banner is from the sticker sheet of Crate Paper's Random Collection. It's ready to go with different patterned papers for each pennant, all pre-cut to the same size. Flowers, flowers and more flowers! There is a mix of store bought, hand cut and resin flowers here. I just kept adding flowers until it turned into a little bouquet of sorts, and I'm really happy with how it turned out. Do you have a favourite type of flower? Store bought.....hand crafted.....two dimensional so your layout can stay nice and flat? Hope you've enjoyed this update! I've had a surprise full time job for a few weeks now and will probably be working for another three weeks yet, so there's not been much time for crafty endeavours. 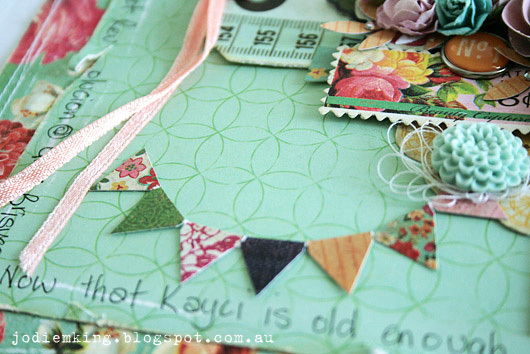 Can't wait to be back playing with pretty papers and glue!